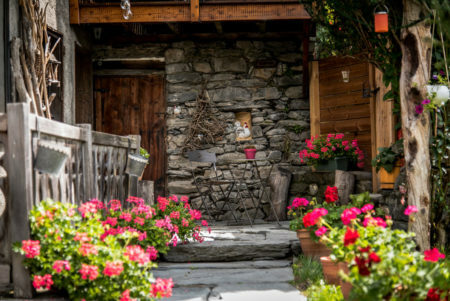 La Belle Joséphine is a guest house in the heart of the Haute-Tarentaise in Savoie. Located in the place “Le Grand Gondon” between the town of Bourg-Saint- Maurice-Les Arcs and the village of Landry. materials offers a view of Mont Blanc and its valley of the Haute Tarentaise. Our guest room will delight lovers of cosy and refined comfort in an authentic spirit. You will be the only one to benefit from a total private area of 80 m2. It is ideally located for winter sports and summer holidays. I thank my husband for his talent, his qualities and his perfectionism for having carried out this restoration alone.